More effective disclosure of finance – and of financial priorities – enhances the ability of colleges and universities to ensure athletics programs are advancing the mission of higher education. The Knight Commission is tracking college athletic and academic finances to provide greater transparency and to better explain where the money comes from and where the money goes. 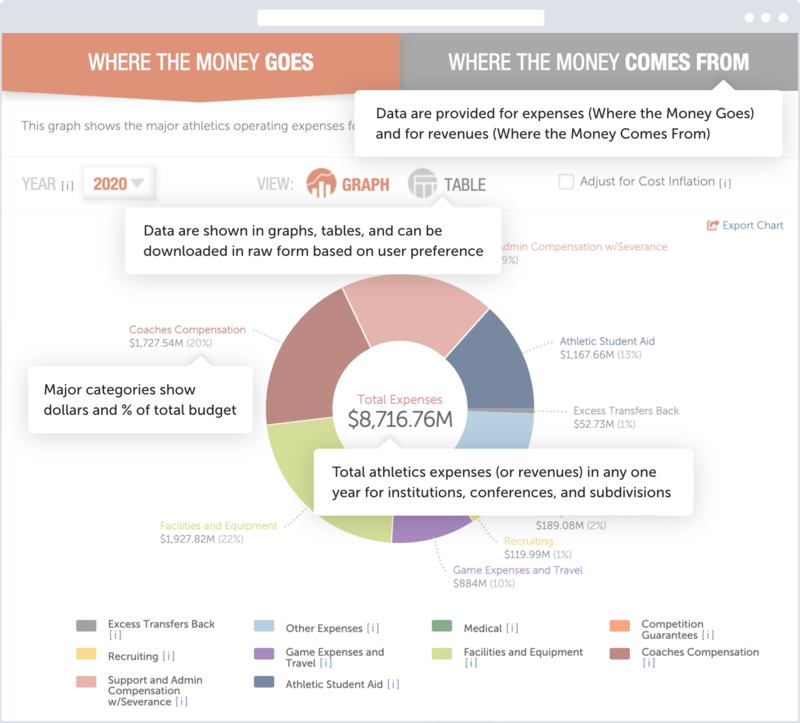 In college athletics, where does the money come from and where does the money go? Explore key revenues and expenses in this database by institution, conference and subdivision. The Knight Commission believes a renewed commitment to sustained financial reform is necessary to maintain the health of college sports. As part of its efforts to improve transparency and accountability for athletics finances, the Knight Commission developed this database. For more information about the data and the methodology for the metrics click here.